Fiona Wheeler is an Emeritus Professor in the ANU College of Law, ANU. She joined the ANU in 1990 and served in the College as Sub-Dean (2000-2003), Director of Research (2006-2008), Head of School (July-December 2009) and Deputy Dean (January 2010-June 2014), serving as Acting Dean on numerous occasions. She has been a member of many College and University committees and served as Chair, ANU Academic Board (2012-2014). Prior to her appointment to ANU she was an Associate to Justice Mary Gaudron, High Court of Australia (1989-1990). Fiona is a scholar of the Australian Constitution and has researched and published on public law issues for over two decades. She has a particular interest in courts and the judicial system and the history of the High Court of Australia. Her doctorate on the separation of judicial power under the Australian Constitution was awarded the ANU JG Crawford Prize (2000). She has been an Honorary Harold White Fellow, National Library of Australia (2009), delivered a High Court Public Lecture (2011) and the Winterton Memorial Lecture (2014). In 2015, she was a visitor at the Constitution Unit, University College London. She is a Fellow of the Australian Academy of Law and a member of the Board of Advisers, Public Law Review. 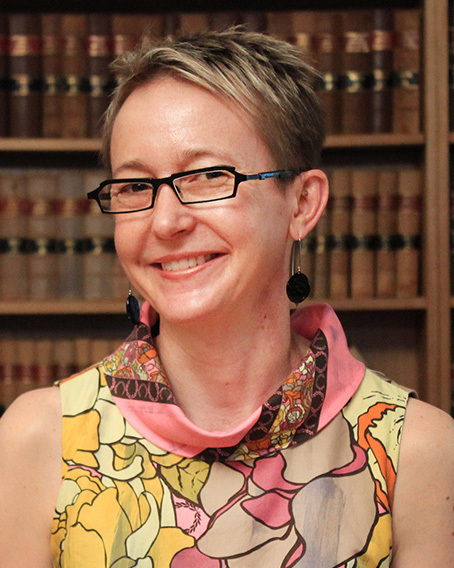 Fiona’s recent research explores evolving conceptions of judicial independence, combining perspectives from law, politics and history to chart the sometimes uncertain boundaries between the ‘legal’ and ‘political’ domains inhabited by Australia's judges. This work has included a study, based on personal papers, of Sir John Latham’s extra-judicial advising; analyses of the wartime work undertaken by High Court judges in the executive branch; and an examination of the constitutionality, under contemporary doctrine, of state judges continuing to serve as Royal Commissioners and in other extra-judicial roles. In addition, Fiona continues to research and write on due process under the Australian Constitution. Emeritus Professor Michael Coper AO, FAAL, an eminent scholar of constitutional law and the ANU College of Law’s longest-serving Dean, passed away on 13 April 2019 in Canberra. The ANU Centre for Commercial Law and Centre for International and Public Law are proud to announce a conference to mark the 40th anniversary of the establishment of the Federal Court of Australia. Professor Stephen Bottomley, Dean of the ANU College of Law, invites you to the inaugural Sydney Law Alumni Reception for alumni living and working in Sydney. Please note, only a small selection of recent publications and activities are listed below. Fiona Wheeler is a scholar of the Australian Constitution and has researched and published on public law issues for over two decades. She has a particular interest in courts and the judicial system and the history of the High Court of Australia. Her doctorate on the separation of judicial power under the Australian Constitution was awarded the ANU JG Crawford Prize (2000). She has been an Honorary Harold White Fellow, National Library of Australia (2009), delivered a High Court Public Lecture (2011) and the Winterton Memorial Lecture (2014). In 2015, she was a visitor at the Constitution Unit, University College London. She is a Fellow of the Australian Academy of Law and a member of the Board of Advisers, Public Law Review.